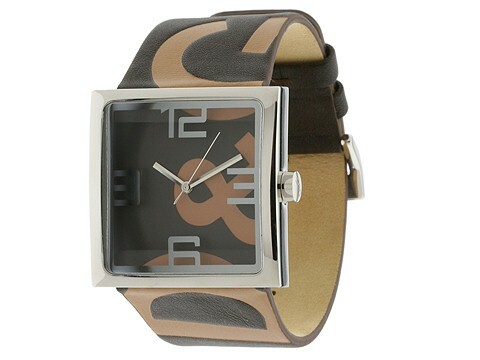 Wake up your casual wardrobe with this bold watch. D&G logo detail spans across the face and both straps. 3 ATM water resistance. Made of leather and stainless steel. Dimensions: Face Width 32 mm Face Height 32 mm Face Depth 10 mm Band Width 22 mm; Buckle closure closure.